You might say – “Why do I have to know and experience this God you are going on about” Here is why, when and how you can get to know Him. We are continuing with our look at the hymn, Trust and Obey by John Henry Sammis as part of our mini series “Maintaining a Healthy Fear of God” In our last post we looked at the presentation……. In this post we shall now continue with the first stanza of the hymn by looking at While we do His good will, He abides with us still, And with all who will trust and obey. As we do His good ‘desire, wish, choice, preference, bidding, command’; He (At the same time; Alongside; concomitantly; In tandem; in parallel; Along with) abides with us still. The immediate questions now are – What is God’s good will? And What provisions has He made for us to take hold of this good will? What is God’s good will? God’s good will is the pursuit of His eternal purpose. “In Romans 3:23 we read: “All have sinned, and fall short of the glory of God”. God’s purpose for man was glory, glory, glory, but sin thwarted that purpose by causing man to forfeit God’s glory. When we think of sin we instinctively think of the judgement it brings; we invariably associate it with condemnation and hell. Man’s thought is always of the punishment that will come to him if he sins, but God’s thought is always of the glory man will forfeit if he sins. The result of sin is that we forfeit God’s glory: the result of redemption is that we are qualified again for glory. God’s purpose in redemption is glory, glory, glory. The Lord Jesus was the only begotten Son, and as the only begotten He had no brothers. But the Father sent the Son in order that the only begotten might also be the first begotten, and the beloved Son have many brethren. There you have the whole story of the Incarnation and the Cross; and there you have at the last the purpose of God fulfilled in His “bringing many sons unto glory” (Heb. 2:10)”. Righteousness –Complete performance of whatever is right which warrants divine approval; a divine arrangement by which God leads men to a state acceptable to him; a revelation of His love for Holiness. Justice – virtue which gives each one his due; revelation of God’s hatred for sin. Mercy – God’s goodness and love shown towards people who have no way out; judgement which was due but was diverted. Truth – Honesty or directness of mind (whether refreshing or distasteful) which is free from affection, pretence, simulation, falsehood or deceit. Our God is God of Truth; who lives in Truth; whose work is done in truth; who keeps truth forever. Then we can safely say that His good will, His eternal purpose, is a plan to ultimately, bring us to His Glory, with provisions made for perceived blunders we will make along the way. What does reckoning mean? ‘Reckoning’ in Greek means doing accounts book-keeping. Accounting is the only thing in the world we human beings can do correctly. An artist paints a landscape. Can he do it with perfect accuracy? Can the historian vouch for the absolute accuracy of any record, or the map-maker for the perfect correctness of any map? They can make, at best, fair approximations. Even in everyday speech, when we try to tell some incident with the best intention to be honest and truthful, we cannot speak with complete accuracy. It is mostly a case of exaggeration or understatement, of one word too much or too little. What then can a man do that is utterly reliable? Arithmetic! There is no scope for error there. One chair plus one chair equals two chairs. That is true in London and it is true in Cape Town. If you travel west to New York or east to Singapore it is still the same. All the world over and for all time, one plus one equals two. One plus one is two in heaven and earth and hell. Why does God say we are to reckon ourselves dead? Because we are dead. Let us keep to the analogy of accounting. Suppose I have fifteen shillings in my pocket, what do I enter in my account-book? Can I enter fourteen shillings and sixpence or fifteen shillings and sixpence? No, I must enter in my account-book that which is in fact in my pocket. Accounting is the reckoning of facts, not fancies. Even so, it is because I am really dead that God tells me to account it so. God could not ask me to put down in my account-book what was not true. He could not ask me to reckon that I am dead if I am still alive. For such mental gymnastics the word ‘reckoning’ would be inappropriate; we might rather speak of ‘mis-reckoning’! Reckoning is not a form of make-believe. It does not mean that, having found that I have only twelve shillings in my pocket, I hope that by entering fifteen shillings incorrectly in my account-book such ‘reckoning’ will somehow remedy the deficiency. It won’t. If I have only twelve shillings, yet try to reckon to myself: ‘I have fifteen shillings; I have fifteen shillings; I have fifteen shillings’, do you think that the mental effort involved will in any way affect the sum that is in my pocket? Not a bit of it! Reckoning will not make twelve shillings into fifteen shillings, nor will it make what is untrue true. But if, on the other hand, it is a fact that I have fifteen shillings in my pocket, then with great ease and assurance I can enter fifteen shillings in my account-book. God tells us to reckon ourselves dead, not that by the process of reckoning we may become dead, but because we are dead. He never told us to reckon what was not a fact. Having said, then, that revelation leads spontaneously to reckoning, we must not lose sight of the fact that we are presented with a command: “Reckon ye…” There is a definite attitude to be taken. 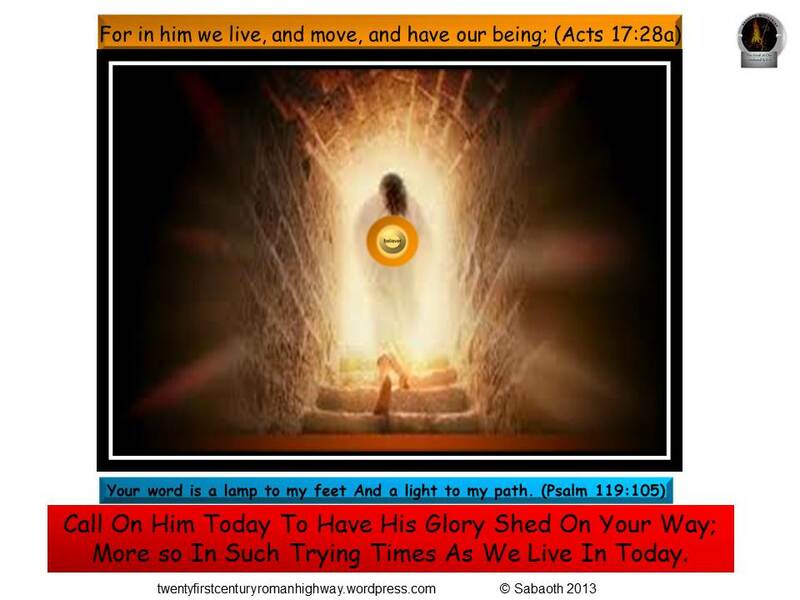 God asks us to do the account; to put down ‘I have died’ and then to abide by it. Why? Because it is a fact. When the Lord Jesus was on the cross, I was there in Him. Therefore I reckon it to be true. I reckon and declare that I have died in Him. Paul said, “Reckon ye also yourselves to be dead unto sin, but alive unto God.” How is this possible? “In Christ Jesus.” Never forget that it is always and only true in Christ. If you look at yourself you will think death is not there, but it is a question of faith not in yourself but in Him. You look to the Lord, and know what He has done. ‘Lord, I believe in Thee. I reckon upon the fact in Thee.’ Stand there all the day. The first four-and-a-half chapters of Romans speak of faith and faith and faith. We are justified by faith in Him (Rom. 3:28; 5:1). Righteousness, the forgiveness of our sins, and peace with God are all ours by faith, and without faith in the finished work of Jesus Christ none can possess them. But in the second section of Romans we do not find the same repeated mention of faith, and it might at first appear that the emphasis is therefore different. It is not really so, however, for where the words ‘faith’ and ‘believe’ drop out the work ‘reckon’ takes their place. Reckoning and faith are here practically the same thing. What is faith? Faith is my acceptance of God’s fact. It always has its foundations in the past. What relates to the future is hope rather than faith, although faith often has its object or goal in the future, as in Hebrews 11. Perhaps for this reason the word chosen here is ‘reckon’. It is a word that relates only to the past—to what we look back to as settled, and not forward to as yet to be. This is the kind of faith described in Mark 11:24: “All things whatsoever ye pray and ask for, believe that ye have received them, and ye shall have them.” The statement there is that, if you believe that you already have received your requests (that is, of course, in Christ), then ‘you shall have them’. To believe that you may get something, or that you can get it, or even that you will get it, is not faith in the sense meant here. This is faith—to believe that you have already got it. Only that which relates to the past is faith in this sense. Those who say ‘God can’ or ‘God may’ or ‘God must’ or ‘God will’ do not necessarily believe at all. Faith always says, ‘God has done it’. In Romans 3 we see the Lord Jesus bearing our sins and dying as our Substitute that we might be forgiven. In Romans 6 we see ourselves included in the death whereby He secured our deliverance. When the first fact was revealed to us we believed on Him for our justification. God tells us to reckon upon the second fact for our deliverance. So that, for practical purposes, ‘reckoning’ in the second section of Romans takes the place of ‘faith’ in the first section. The emphasis is not different. The normal Christian life is lived progressively, as it is entered initially, by faith in Divine fact: in Christ and His Cross. In our next post will still continue with the first stanza of Trust and Obey (While we do His good will, He abides with us still, And with all who will trust and obey). by looking at PLAN A1 – The Gospel of Christ. Which we have in fact delved into already.You might say – “Why do I have to know Him experience this Jesus you are going on about” Here is why, when and how you can get to know Him. John 3:16-17. In Romans 5:8 we read, “God demonstrates His own love towards us, in that while we were yet sinners, Christ died for us”. It is Jesus, after all, who is the source of life’s greatest high. Dear Jesus, I know that I am a sinner in need of a Savior. Thank You for dying on the cross for my sins. Thank You for giving me eternal life. Help me to live my life in a way that pleases You, for whatever time You give me here on earth. I look forward to living forever in Heaven with You. Amen. Jesus -Saviour, Son of Adam, The Second Adam, Son of Eve, Son of Abraham, Isaac & Jacob, Bright Morning Star, Lion of Judah, Son of David, Root/Shoot of Jesse, Holder of David’s key, Son of Mary the Virgin, Foster Son of Joseph, Jesus of Nazareth, The Prophet, Emmanuel, Wondrous Counsellor, Mighty God, Eternal Father, Prince of Peace, The Lord our Justice, Good Shepherd, The Messiah – Christ, King of Israel, King of the Jews, Servant of God, Pierced One, Man of sorrows, Son of Man, Holy One from God, Just One, Good One, Greater than Jonah, Greater than Solomon, Greater than the Temple, Lord of the Sabbath, I Am, Wisdom of God, Power of God, Word of God, Lord of glory, Brightness of God’s glory, Exact image of God’s own being, Image of the unseen God, Son of the Most High God, Only Son, Dear Son, God himself , Bright Dawn of Salvation, Lamb of God, The Crucified Christ, Sin Offering, Our Justification, Our Sanctification, Our Redemption, Our Freedom, Our Peace, Our Reconciliation, Our Pride and Boast, Our Leader, Messenger, our High Priest, our Mediator, our Intercessor, our Advocate, Saviour of the World, True and Faithful Witness, Doctor, Preacher of the Good News, The Good News that is preached, Teacher — Rabbi, Gentle and Humble of Heart, Light of the world, The Gate, The Way, The Truth, The Life, The Living One, The Resurrection, Bread of Life, The True Vine, The Head, Stone rejected by the builders, Our Cornerstone, Our Foundation, Our Hope, The One who Loves us, The Victor, Lifted up, Bridegroom, Temple, Lamp, The Firstborn Son, First fruit of those who, a fallen asleep, Judge of the living and dead, The Alpha and the Omega, The First and the Last, The Beginning and the End, King of kings, Lord of lords, Ruler of the kings of earth, Lord. Haba!!!!! With all these don’t you think it is time you know Him? You might say – “Why do I have to know Him experience this Jesus you are going on about” Here is why, when and how you can getto know Him. “Ye shall walk after the LORD your God, and fear him, and keep his commandments, and obey his voice, and ye shall serve him, and cleave unto him.” (Deut 13:4). In this post, we shall continue with our mini series on “Maintaining a Healthy Fear of God” by looking at a very important pre-requisite for maintaining a reverent fear of The Lord and have a fixed and unshakable focus on Him (keeping our eyes set on the author and finisher of our faith, Jesus Christ) – The Grace to Obey and Trust. I will try to explain this by looking at the hymn When We Walk With The LORD, my favourite ‘song’ at primary school; but before that, I will like to look a little bit more at what the fear of The Lord really is. “He that handleth a matter wisely shall find good: and whoso trusteth in the LORD, happy is he.” (Proverbs 16:20). In 1887, just following an evangelistic meeting held by Dwight L. Moody, a young man stood to share his story in an after-service testimony meeting. As he was speaking, it became clear to many that he knew little about the Bible or acceptable Christian doctrine. His closing lines, however, spoke volumes to seasoned and new believers alike: I’m not quite sure. But I’m going to trust, and I’m going to obey. Daniel Towner was so struck by the power of those simple words that he quickly jotted them down, then delivered them to John Sammis, who developed the lyrics to Trust and Obey. Towner composed the music and the song quickly became a favourite. It remains popular with hymn singers today. May our Lord continually give us cause and empower us to say: though “I’m not quite sure, but I’m going to trust, and I’m going to obey”. Trust and obey, for there’s no other way: To be happy in Jesus, but to trust and obey. 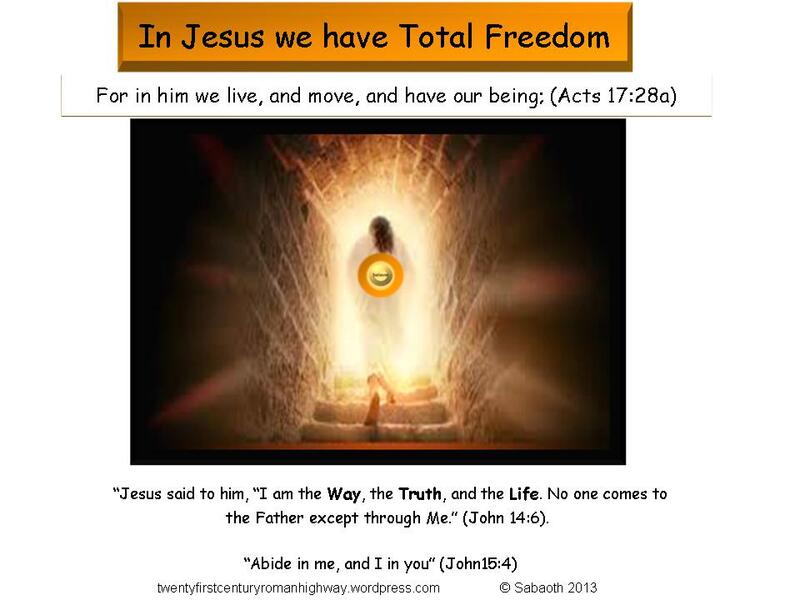 As JESUS is THE LIGHT OF THE WORLD: THE WAY; THE; TRUTH AND THE LIFE: AND with You, our Heavenly Father IS THE FOUNTAIN OF LIFE (our Lord and Saviour Jesus Christ): Also IN THY LIGHT (our Lord and Saviour Jesus Christ) WE SHALL SEE LIGHT. For You, our GOD IS LIGHT, AND IN YOU IS NO DARKNESS AT ALL. So IF WE WALK IN THE LIGHT, AS HE (our Lord and Saviour Jesus Christ) IS IN (You) THE LIGHT, WE HAVE FELLOWSHIP ONE WITH ANOTHER, AND THE BLOOD OF JESUS CHRIST (Your) SON CLEANSETH US FROM ALL SIN. When we walk with the Lord in the light oh His Word; then we are bold enough to attempt exploits that people like Elijah did: and more importantly to be able to totally depend on the Lord in these perilous end times. “And such as do wickedly against the covenant shall he corrupt by flatteries: but the people that do know their God shall be strong, and do exploits” (Daniel 11:32). In the next post we will have a look at What a glory He sheds on our way! You might say – “Why do I have to know and experience this Father you are going on about” Here is why, when and how you can be ready by getting to know Him. “Hast thou not known? hast thou not heard, that the everlasting God, the LORD, the Creator of the ends of the earth, fainteth not, neither is weary? there is no searching of his understanding. He giveth power to the faint; and to them that have no might he increaseth strength. Even the youths shall faint and be weary, and the young men shall utterly fall: But they that wait upon the LORD shall renew their strength; they shall mount up with wings as eagles; they shall run, and not be weary; and they shall walk, and not faint” (Isaiah 40:28-31). We are still looking at the very important asset we need to have in these perilous times; in other to be able to keep our eyes set on the author and finisher of our faith, Jesus Christ – The Fear of The Lord. In this post we will conclude on why He “Fainteth not, neither is weary”; How – “He giveth power to the faint; and to them that have no might he increaseth strength” because He alone is God; And He is God alone. As we said in our last post, sometimes when we have ceased to have our whole being totally and absolutely “fixed on the Lord”, all the Lord does is to refer us back to some lessons we have learnt earlier but may have forgotten, often due to the wiles of the enemy being projected at us from all angles or when we allow fear (not a healthy fear of God this time) to have it’s way. “And I heard as it were the voice of a great multitude, and as the voice of many waters, and as the voice of mighty thunderings, saying, Alleluia: for the Lord God omnipotent reigneth” (Revelation 19:6). “Justice and judgment are the habitation of thy throne: mercy and truth shall go before thy face” (Psalms 89:14). “God hath spoken once; twice have I heard this; that power belongeth unto God. Also unto thee, O Lord, belongeth mercy: for thou renderest to every man according to his work” (Psalms 62:11-12). “But Jesus beheld them, and said unto them, with men this is impossible; but with God all things are possible” (Matthew 19:26). “Am I a God at hand, saith the Lord, and not a God afar off? Can any hide himself in secret places that I shall not see him? saith the Lord. Do not I fill heaven and earth? saith the Lord” (Jeremiah 23:23,24). “If I ascend up into heaven, thou art there: if I make my bed in hell, behold, thou art there” (Psalm 139:8). “Declaring the end from the beginning, and from ancient times the things that are not yet done, saying, My counsel shall stand, and I will do all my pleasure” (Isaiah 46:10). “Known to God are all his works from the beginning of the world” (Acts 15:18). “The Lord looketh from heaven; he beholdeth all the sons of men” (Psalm 33:13). “Brethren, it is well for us to remember that as human beings we can never know all of the Godhead. If we were capable of knowing all of the Godhead perfectly, we would be equal to the Godhead. For illustration, we know that we cannot pour an entire quart of water into a vessel which has a capacity of less than a quart. So you could never pour all of the Godhead into the experience of any being who is less than God Himself. “And we have known and believed the love that God hath to us. God is love; and he that dwelleth in love dwelleth in God, and God in him” (I John 4:16). “As I besought thee to abide still at Ephesus, when I went into Macedonia, that thou mightest charge some that they teach no other doctrine, Neither give heed to fables and endless genealogies, which minister questions, rather than godly edifying which is in faith: so do. Now the end of the commandment is charity out of a pure heart, and of a good conscience, and of faith unfeigned: From which some having swerved have turned aside unto vain jangling; Desiring to be teachers of the law; understanding neither what they say, nor whereof they affirm. Now the end of the commandment is charity out of a pure heart, and of a good conscience, and of faith unfeigned” (1 Tim. 1:3-7). THE GOAL OF OUR COMMAND IS LOVE; that comes from a PURE HEART, GOOD CONSCIENCE AND SINCERE FAITH. Pure heart – Hold no evil whatsoever against anyone. Good Conscience – knowledge shows what is right or wrong, but it is the conscience that approves of what is right and disapproves of what is contrary to it. Sincere Faith – no matter how bad it looks in reality, I have this hope that it shall be well – “substance of things hoped for; evidence of things not seen”. “And because iniquity shall abound, the love of many shall wax cold” (Matt. 24:12.). “There is no fear in love; but perfect love casteth out fear: because fear hath torment. He that feareth is not made perfect in love” (1John 4:18). You do not just see this from afar off, and judge others, but more importantly come to the realisation of the fact that if not for the GRACE of God; ones own natural heart can be just as deceitful. “Behold, I send you forth as sheep in the midst of wolves: be ye therefore wise as serpents, and harmless as doves” (Matt. 10:16). I Tosin, personally would rather be misunderstood to be naive than lack the power of God and continually have my whole being totally and absolutely “fixed on the Lord”. God is Holy– This is the pure loving nature of God separate from evil. God is Infinite – He is, if I may say, interwoven into all things. God is Omnipotent – He has the ultimate power to do whatever He wills. God is Love – God’s love for us is just as His attribute of being immutable, it cannot change. “Even the youths shall faint and be weary, and the young men shall utterly fall: But they that wait upon the LORD shall renew their strength; they shall mount up with wings as eagles; they shall run, and not be weary; and they shall walk, and not faint.” (Isa. 40:28-31). “Thou wilt keep him in Perfect Peace, whose mind is stayed on Thee: because he trusteth in Thee” (Isaiah 26:3). Then we can be rest assured that when we wait upon Him, we can never, I repeat “never” be disappointed. How many thousands through the centuries have taken those promises literally and found that to “wait upon the Lord” does this very thing. It all hinges on that one word, wait. Wait! The hardest word to learn in the language for some, especially young people. Wait. Let God work. The Hebrew word has a note of expectation about it: expect God to work, wait in expectation that God will move. It takes time, you cannot have it overnight, but they that wait upon the Lord shall find their own strength renewed. They shall find their spirit mounting up like the eagle in its flight, their souls able to run the gamut of emotions. They shall never be weary. And they shall walk (in body) and not faint. What a wonderful God we serve. You might say – “Why do I have to know and experience this Father you are going on about” Here is why, when and how you can be strengthened by getting to know Him. We will have a short break in our look at the eternal purpose of God to look at a very important asset we need to have in these perilous times; in other to be able to keep our eyes set on the author and finisher of our faith, Jesus Christ – The Fear of The Lord. To be able to have one’s mind fixed on our Lord and Saviour Jesus Christ, and maintain it, one needs to have a holy and righteous fear of the Lord; a healthy fear that is borne out of an absolute and total trust in the Lord; an extra-ordinary, absolute and total trust that is a derivative of an unconditional love for Him, and an unconditional love that is steadied by knowing who our God is. Sometimes when we are stuck, all the Lord does is to refer us back to some lessons we have learnt earlier but may have forgotten, often due to the wiles of the enemy being projected at us from all angles or when we allow fear (not the healthy fear of God this time) to have it’s way. O’ Lord help us to continually grow in your knowledge, intimacy and confidence in the knowledge of Your attributes. “And because iniquity shall abound, the love of many shall wax cold” (Matthew 24:12). So many people today still go to Church even more than twice a week or so but deep down inside they are beginning to ask the questions – is these all real? Am I getting anything from this? How do we deal with this situation? There is only one way to deal with the situation and that is to arm ourselves with the true knowledge of who our God really is. How then shall we characterize these events He (Jesus) outlines which are to occur in the intervening time before the end of the age is reached? They are of enormous importance to us for we live in this time before the end. If, as we have seen, the dominant note of this discourse is to warn against the allure of the false, the glamour of the phony, and to indicate the ease by which the uninformed may be led astray, then it is immediately evident that in these intervening events He is listing the perils of the age. These are the threats to faith, the powerful forces by which men and women, observing the events of their day, may be misled into confusion and error. These perils to faith are forces, deceptive in their character, which will mislead men throughout the whole course of this intervening time. They make it difficult to believe, they act powerfully upon men’s minds to turn them from the unseen spiritual kingdom to depend only upon the things of sense and time. Each peril, when once introduced, runs on to the end of the age. These perils only have one and only one precursor, ‘Man trying to do it his way APART FROM GOD’ Just like Adam and Eve did. Looking at the whole situation even as a Christian could make a person ask if God is seeing all what is going on, and if he does, what is He doing about it? Or even, what can He do about it? Is He still in control? Who or what holds the earth together in the first place? Who is in control of the earth? These questions (when asked by a Christian) could be concluded to be a sign of weariness or worst still unbelief: But the basic truth containing fundamental answers to these questions, are to be found in a sound understanding of who our God is. You know as a child you would think your dad is well able to have a fight with everyone else’s dad and win – until the day you meet someone whose dad is probably a heavy weight boxing champion; then even as a child, you start to think rationally. “Fainteth not, neither is weary” How can He be? If he is Spirit, life, infinite, immutable, the truth, love, eternal, holy, immortal, invisible, omnipresent, omniscient and omnipotent. I will pick up on a few of these attributes to show why He “Fainteth not, neither is weary”; and “He giveth power to the faint; and to them that have no might he increaseth strength”. “We Labour” – against the instigations; then followed by the accusations of the enemy of our soul; we labour in this 21st century, where the enemy daily perfects his devices to make us walk in the opposite direction to the holiness and righteousness of God; but our loving Father, instead of unleashing His wrath, the manifestation of His holy, moral character against sin upon us at a time when we fall short (unlike man’s unholy anger, it is neither impersonal nor acts on impulse); gives us the opportunity to consider our ways and confidently take hold of His word and confess that: “There is therefore now no condemnation to them which are in Christ Jesus, who walk not after the flesh, but after the Spirit. For the law of the Spirit of life in Christ Jesus hath made me free from the law of sin and death” (Romans 8:1-2). Then we can face our accuser and exclaim: “Rejoice not against me, O mine enemy: when I fall, I shall arise; when I sit in darkness, the LORD shall be a light unto me” (Micah 7:8). “Wherefore we labour . . . .” It is arduous work to keep the master ambition in front. It means holding one’s self to the high ideal year in and year out, not being ambitious to win souls or to establish churches or to have revivals, but being ambitious only to be “accepted of Him.” It is not lack of spiritual experience that leads to failure, but lack of labouring to keep the ideal right. Once a week at least take stock before God and see whether you are keeping your life up to the standard He wishes. Paul is like a musician who does not heed the approval of the audience if he can catch the look of approval from his Master. “The same was in the beginning with God. All things were made by him; and without him was not any thing made that was made.” (John 1:2-3). “But will God indeed dwell on the earth? behold, the heaven and heaven of heavens cannot contain thee; how much less this house that I have builded.” (I Kings 8:27). “What shall we then say to these things? If God be for us, who can be against us?” (Rom. 8:31). “For I am the Lord, I change not; therefore ye sons of Jacob are not consumed” (Malachi 3:6). In the next post we will find out why “Fainteth not, neither is weary”; and “He giveth power to the faint; and to them that have no might he increaseth strength”.